Experience infinite energy with the Levitate 2. 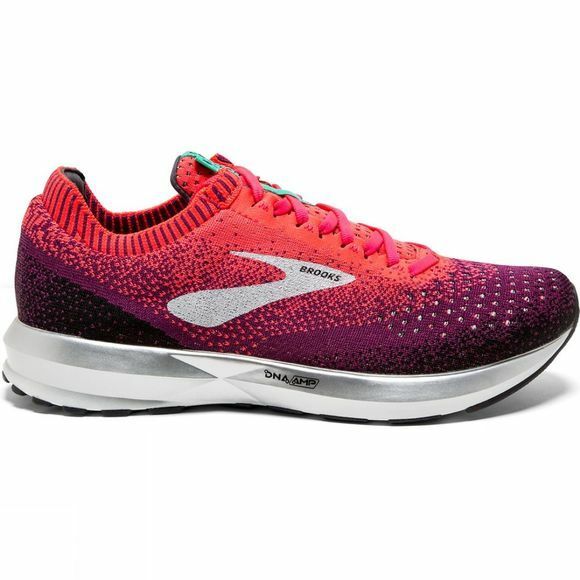 Using Brooks' most responsive midsole, DNA AMP, the Levitate 2 controls, captures and returns your energy to help fuel your run. 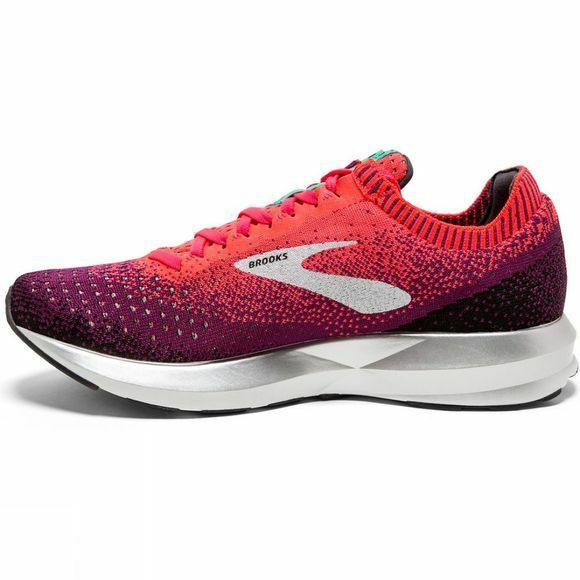 Brooks have also created flexible arrow point pattern on the outsole to give you quick transitions, so you can go from heel to toe effortlessly without losing energy. The new adpatable Fit Knit upper includes a heel wrap and an altra-soft heel top to shield your Achilles from irritation and give you maximum comfort.